ALLRUSSIAS - The "Weakest Link"
Lenin’s party comrades should, however, have had no reason for surprise. 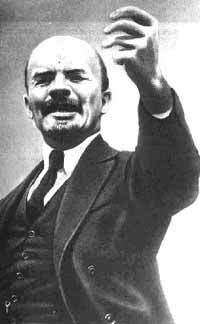 By 1917 Lenin believed firmly that a period of world-wide socialist revolutions was imminent. More than that, he believed that the Russian revolution would play a key role in the world-wide socialist revolution, for Russia would be the first country where world capitalism would crack. In his articles written during the war he suggested what Stalin would later call ‘brilliant deductions’ which allowed him to stand Marxism on its head. Lenin discarded the notion, that socialist revolution had to triumph in all countries simultaneously. He claimed that he had uncovered ‘an absolute law of capitalism’ which made the socialist revolution possible first in several or even in one capitalist country, taken singly. The development of capitalism proceeds extremely unevenly in different countries... From this it follows irrefutably that socialism cannot achieve victory simultaneously in all countries. It will achieve victory first in one or several countries, while the others will or some time remain bourgeois or pre-bourgeois in character. Lenin’s most daring ‘deduction’, however, was the assertion that Russia would be the country to initiate the world proletarian revolution. He argued that revolution was likely to break out initially not where capitalism was most strongly developed but ‘at the weakest link in the imperialist chain’, which was Russia. Here capitalism had developed alongside a semi-feudal agrarian structure, and the bourgeoisie had proved too feeble to overthrow the absolute monarchy. The first revolution on the agenda, therefore, was the bourgeois-democratic overthrow of tsarism and abolition of feudal remnants. By taking the lead in the bourgeois-democratic revolution, the Russian proletariat, in alliance with the poor peasantry, could push straight forward to the socialist revolution.